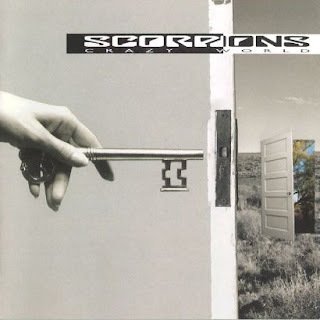 The release of deluxe reissue of The Scorpions 1990 album, “Crazy World”, has been delayed to October 7. The two-disc set will feature the original album plus a disc of 12 live tracks from their Live Crazy world tour, along with the album’s four promotional videos. On January 24, 2010, after 45 years of performing, The Scorpions announced that they would be retiring after touring in support of their new album at the time, “Sting In The Tail”, although this decision was eventually retracted and the band will continue. Up next, The Scorpions will record an MTV Unplugged concert special in Athens, Greece this fall for release at the end of the year. The German rockers will perform three shows under the open skies at the Lycabettus Theatre in Athens – set for September 11, 12, and 14 – playing their biggest hits, album classics and some exclusive new songs. “MTV Unplugged - Scorpions Live In Athens: will be released at the end of 2013 on CD, DVD and Blu-ray disc. MTV will world premiere the event, while the shows will be broadcast for free in Germany by VIVA.